The Reds have lost eleven in a row. They are 3-18 in road games. The pitching staff is flat out terrible. When they aren’t walking batters (11.2%, highest in MLB) Reds pitchers are grooving it down the middle. Five rookies pitched for Walt Jocketty’s club tonight. Why five rookies? The “Indifference to a Good Bullpen” chapter in the Rebuild Binder and an epidemic-level of injuries. After these three games against the Brew Crew, the Reds play four in Colorado. The thought of sending these pitchers to face those hitters at that altitude is terrifying. Ten runs allowed per game? You’ve got until Monday to hide yo’ kids. Lampooned The Reds spotted John Lamb a three-run lead but the left-hander squandered it by the end of the fourth inning. Lamb walked the first batter he faced. He gave up seven hits and three walks in 3.2 innings of work. His ERA/FIP is 6.82/6.17. Alfredo Simon’s existence is the only thing preventing Lamb from losing his job in the rotation when Jon Moscot returns next week. That’ll Du-vallÃ‚Â The Reds got off to a great start in the first inning with an infield single by Brandon Phillips, a double over the head of the right fielder by Jay Bruce and an upper deck bomb by Adam Duvall. “Duvall is some kind of strong,” said Jeff Brantley. It was Duvall’s club-leading 10th home run of the season. The blast raised Duvall’s isolated power (ISO) to .302, sixth in the major leagues, and ahead of a guy named Bryce Harper. Bullpen Artists Josh Smith gave up a double to the first batter he faced. You can decide for yourself if that’s better or worse than walking the first hitter. While you’re doing that, consider that Dayan Diaz offered up a home run to the first Brewer he faced in the fifth. Diaz gave up three hits and a walk in his inning. J.C. Ramirez pitched the seventh. With two outs, the Brewers sent up light-hitting Alex Presley. Ramirez walked Presley on four pitches. Two hits and two runs later, the Brewers led 9-5. 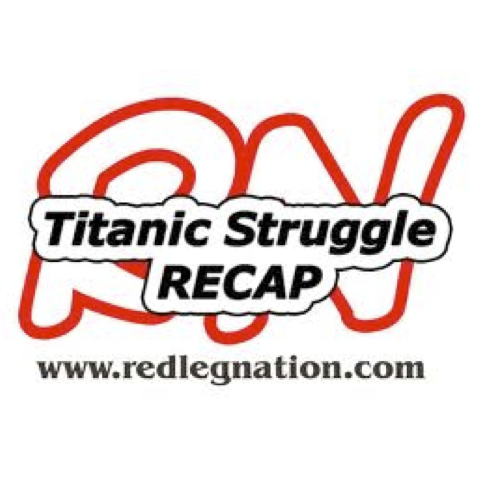 Nutshell Reds pitchers gave up six walks tonight. Reds hitters drew zero walks tonight. Lose em all!!! Get the first pick in the draft. I just can’t root for that. It’s hard to get excited about draft picks in baseball. It is the biggest crap-shoot of any draft in pro sports. For every Kris Bryant there are 10 Brien Taylors. #1 overall picks from 2000 on: Adrian Gonzales! !, Joe Mauer, Bryan Bullington, Delmon Young, Matt Bush, Juston Upton, Luke Hochevar, David Price, Tim Beckham, Stephan Strasberg, Bryce Harper, Gerrit Cole, Carlos Correa, Mark Appel, Brady Aiken, Dansby Swanson. There are some very nice players there but Bullington, Young, Bush, Hochevar, Beckham stand out as not so much. That’s a third of the #1 overall picks that just haven’t been that great. Hochevar is the best of that bunch and he’s a setup guy. When will it be enough of this dumpster fire of a team for Castillini to make some kind of move to show fans that he cares? He looks a lot like Mike Brown during the lost decade. Moscot still has one rehab start remaining, if I remember correctly. Give Wright a try, demote Lamb or Simon either to bullpen, minors or cut in Simon’s case. I believe Price told the media that Moscot will rejoin the Reds in Colorado but declined to say how he will be used. Yes but Price also said he’d be rejoining the starting rotation, all that was unclear was what day he would start (whom he would replace). OK, So the part I didn’t hear right in the fragment I caught was not about how he would be used but who he would be used for. Thanks. I did hear some speculation from another source that Wright is likely to get at least one more start which fits in with the Sheldon article speculating that Simon is on the rotation buble. If Wright can repeat or better his effort in LA, Lamb would likely be next on the bubble for Disco’s return. Jim: Wright is definitely going to get another shot. After last night, Lamb is also on the bubble, along with Simon. If Simon pitches well later today, it might be Lamb who gets bumped. If so, I’d rather see Lamb in the bullpen than at AAA. All that was missing was a TOOTBLAN I guess. There was a major TOOTLBAN, actually, even if getting caught stealing isn’t officially a TOOTLBAN. The Brewers starter, Davies, is a below average pitcher who was weakening in the 5th inning, two hits and a long sac fly made it 6-4 with 1 out, runner on 1st, and Cozart and then Votto up. So on a 1-1 count Price puts on what must have been a hit and run – no one would have Ramon Cabrera on Lucroy, right (Lucroy has thrown out 6 in a row). Since it’s a hit and run, Cozart has to swing (and miss) at a low and outside pitch, and Lucroy throws out Cabrera even though he double clutched. Instead of a 2-1 count, tying run at the plate, it’s two outs, a 1-2 count, and the potential rally dies. To start the next inning, Votto homers off Davies. I don’t think any analysis is needed – it was a high risk/low reward, situationally stupid decision by Price. He can’t be blamed for this loss. The Reds would be terrible with any manager. But a big part of Price’s legacy has been slow, lumbering base runners get thrown out on base to snuff out potential rallies. Agree Price isn’t costing them W’s but if the FO is bothering to keep a list to show how he isn’t making things better and in fact sometimes makes them worse, the running game would be at the top of the list. Exactly right. The only benefit I could see in changing managers at this point is to see if there is someone out there who could do a better job of taking advantage of what opportunities do come along. I was only half paying attention to the game, but I saw that part. Sad. If they would happen to run the table on L’s thru this road trip, I could see a change being made just for the sake of change. There is a difference between losing simply because talent is lacking and losing because of playing poorly in addition to not having enough talent. For example when one could could point to the double digit losses the by the Reds when they had surrendered a lead in the 7th inning or later, that was an example of losing primarily because of a talent shortage. The increasing frequency of losses like last night speak to playing poorly in addition to being short on talent. did anybody see if the pitch that Votto hit was a changeup? If he can’t hit a changeup he is fair game for criticism. that and a .200 batting average. Also seeing why KC traded us Lamb. Smart deal on KC’s part. 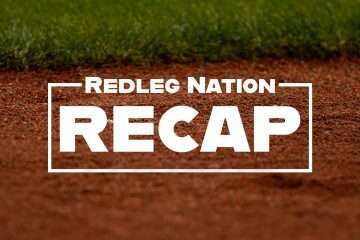 KC also traded us Finnegan and Cody Reed. The jury is still out, obviously, on that trade. Whether Lamb makes it or not, I still think that was a good trade. Finnegan and the jewel in the deal, Reed, look like keepers. If he gets and remains healthy, I think Lamb will eventually provide value, even if it turns out to be as a trading piece. Votto homered off a curve ball. It was, and he’s been pretty bad on curve balls but is literally 0-for on the change up this year. I’m not sure how or why that’s possible but it’s true. That has to change. It seems that he’s so intent on recognizing pitch type and location before deciding to swing that he doesn’t have time to adjust to the pitch and hit it, but it seems like he’d catch up with change ups more than fastballs. I’m still in the “He’s Joey Votto – he’ll figure it out” camp but it’s hard to watch right now. Cabrera made a nice throw on Villar’s steal of 3rd and had easily nailed him. But Suarez, instead of tagging Villar or putting his glove where Villar would slide into it, tagged the ground. Suarez is playing like he’s overwhelmed – finds himself playing terribly for a terrible team, and can’t handle it. Whenever the Reds start up a series against the Brewers, Lucroy has been slumping. I don’t even need to say what happens next. And Hill must wish he could face Reds pitching more often – 6 HRs on the season, 5 against the Reds ? I actually laughed at the thought of this pitching staff going to Colorado. They are probably going to have to rotate in two or three new arms at mid series then do the same when they get back home at the end of it. I love coming here to read the recaps. It always gives me a laugh at the end of the day, and it has spared me the agony of paying attention to the games and the slow, ugly decline of a once-proud franchise. Good luck to the diehards who have stuck it out this long. As for me, a fan since 1968, life’s too short to care about the Reds any more. I will continue to check in here occasionally, just for the chance to appreciate the follies of an historically bad team stumbling to its destiny behind the “leadership” of an historically inept manager. I have plenty of great memories, but somehow I cannot get the image out of my head of Bob Castellini sitting in the box seats behind home plate, chatting with Walt Jocketty’s skeleton, as it disintegrates in the warm summer sun. Life is not going to get longer following another team. Just saying. Interesting AAA game last night for the Louisville Bats. Robert Stephenson was pitted against former Reds prospect Ben Lively (traded to Phils for Marlon Byrd) now playing for LeHigh Valley. Through seven innings Stephenson emerged with the upper hand in a 2-1 pitchers’ duel. After Louisville tacked on 2 more runs in the top of the 8th versus the LeHigh pen, Stephenson stayed in for the bottom of the 8th. He quickly recorded 2 outs. However he then apparently ran out of gas and surrendered a game tying 3 runs on a walk, a double, and two following singles (with a delay following the double for an argument of some sort which resulted in the ejection of the LeHigh mgr and a stolen base thrown in) before Wandy Peralta came on to record the final out. Louisville eventually won the game 6-4 in 11 innings. Obviously, Stephenson had allowed virtually nothing except a solo HR prior to the 8th when his tank went empty with 2 out and nobody on base. All in all, I’d surmise they’ve started the final preps for moving RS up to the Reds. Also it was very encouraging to see the lefty Peralta come in and stop the bleeding which allowed the team the chance to eventually win game after the lead was lost. Peralta, a leftie, also appears to be a guy we could see in Cincy before the end of the year. I found a pitch by pitch transcription which I did not have when I wrote the above. RS was at 80/81 pitches to start the 8th. He recorded the two outs on 5 pitches, issued a 4 pitch walk then surrendered the double on a 2-0 pitch. He was at 94 pitches after the double having thrown 6 balls in his previous 7 pitches and now facing the tying run at the plate.This man reached on a first pitch single; yet RS was left in the game to face the potential lead run. This sequence underscores my belief they were definitely pushing him beyond where they typically had been pulling him. The 24 year old Ben Lively was making his 1st start at AAA after just being called up from AA. In 7.0 innings, Lively gave up 2 ER on 5 H, 1 BB & 5 SO. At AA Reading this season, Lively had a 1.87 ERA, 0.943 WHIP, 0.2 HR/9, 8.3 SO/9 & 3.27 SO/BB over 9 starts covering 53.0 innings. This is the guy the Reds traded for the priveledge of paying Byrd $4MM. Lively isa not on the Phanatics 40-man roster yet so they have 3 years of options still remaining on Lively after this season and he is already pitching at the AAA level. If the Reds have any chance of salvaging this reboot/rebuild fiasco, this is the type of prospect for aging, over-the-hill veteran trade the Reds simply can not make. Lively would fall well down the list of potential starters at the major league level. No starting pitching prospect (Finnegan, Iglesias, Lamb, Moscot, Stephenson) has laid an indisputable claim to a future starting pitcher position at the major league level and other starting pitchers and starting pitching prospects have yet to take the the mound at the majorl league level this season (Bailey, DeSclafani, Reed, Lorenzen). That creates a LOT of ‘?’ regarding the future starting rotation and giving away prospects who might compete for the major league pitching staff (starters and relievers) is just not a sound business practice. The Reds front office, led by Mr, Way-Past-His-Shelf-Life, Walt Jocketty, has once again shown great generosity in their all-out effort to rebuild other teams. Walt has yet to see a rising prospect he’d wouldn’t love to donate to struggling teams trying to get back on their feet. With a huge heart he willingly sacrifices his own prospects to help others more fortunate than him. I hereby nominate Walt Jocketty as Most Generous GM of the Decade. Take a bow, Walt, you’ve earned it. Yep, I hated the trade when it was made and it looks even worse in hindsight. We paid Byrd almost 4m in salary to offer very little for 5 months, and traded Heisey and his lesser salary for salary relief. 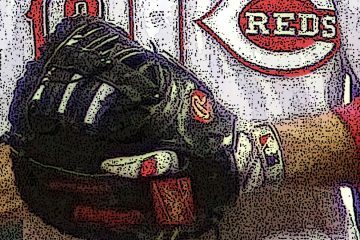 For the Votto fans out there…an interesting analysis of Joey’s troubles on the Reds MLB site. Unusual trouble with change ups, cutters, et al. Can Joey adjust?? I, for one, am about ready for Marty to retire. I’m ready for some young fresh whippet. The last few year he’s been calling people by the wrong name, gets the outs and innings wrong, and has started to develop a lisp (bad dentures?). He doesn’t do it all game long, but often enough I’m correcting him in my head instead of just listening to the game. Nuxie did the same thing at the same age-mid 70s-so it’s not uncommon. Back then, Marty covered for him, but safe to say it was time for Nuxie to retire before he got ill. And Brantley is not smooth enough to cover for Marty. Sorry, all you Marty fans, but I don’t enjoy announcers making a lot of mistakes. It’s simply unprofessional. And I will guarantee you that Marty would have said the same thing when he was younger. But now like many other superstars, perhaps he’s hanging on a little too long, you know, can’t let go. I’ll accept being crucified for saying this, cuz I know the tremendous loyalty and popularity he has. So be it. Facts are still facts, and everyone seems afraid to call him out. Except me.